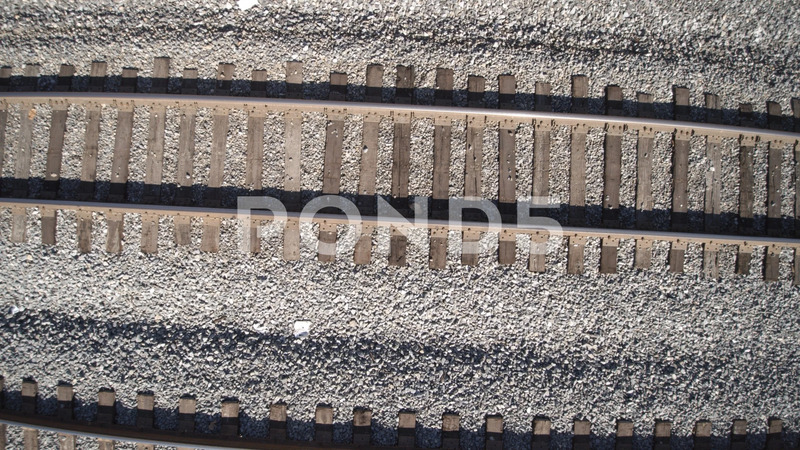 Description: Cinematic tracking shot across railroad tracks. Shot points straight down and tracks right to left a high speed. Very dramatic.